Chic's Limo is Philly's premier Party Bus limo service. Our well-maintained fleet of luxury vehicles include party buses, luxury SUVs, plush limousines, and executive sedans. We have the perfect limo for every need including Proms, Weddings, Birthdays and Tailgates! Bachelorette Party Ideas in Philly! Figuring out where to have a bachelorette party in Philadelphia can be difficult. It’s a big city and there are a lot of things to do. How do you decide? You might have a lot of friends who are looking for a big loud wild party, or you might just want a very special girls’ night out with a few close friends. How can you tell what the best place is for your bachelorette party? 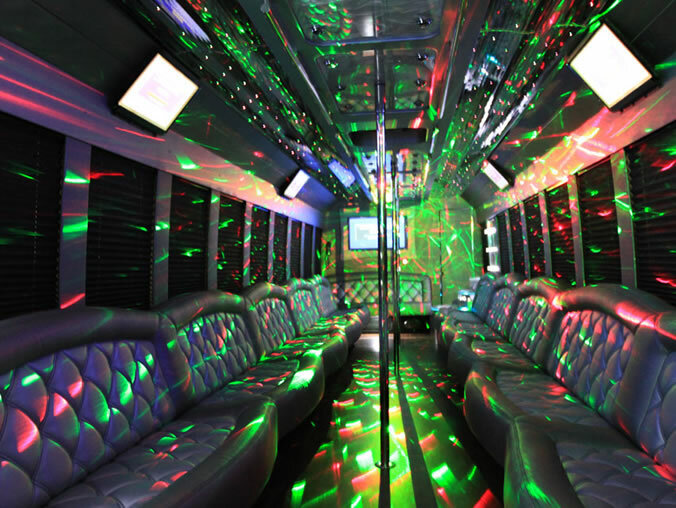 You’ll want to rent a party bus from Chic’s Limo for the ultimate service! Here are 5 Bachelorette party ideas in Philadelphia that are sure to make for a fun time out, whether you’re looking for something wild or something classy or anything in between. Howl at the Moon is a bar, dance, and event venue that promises a night to remember (or not remember too well). They offer live music most nights of the week that is geared towards getting people out on the dance floor. In addition to shots, beer, and cocktails, Howl at The Moon also offers buckets full of cocktails from Mai Tais to their own Howlin’ Punch. You can book a table or select from their bachelorette party packages for a bit of extra howling. Coda is another great place for a night out. This venue offers both live music and an energetic nightclub experience. Some of the hottest talents in music come to play at Coda, and they have events on a regular basis. If you’d like to schedule use of Coda for a bachelorette party, you can fill out their event form and talk to their event planners to set it up. They offer specialized drink options and will rearrange their interior to better suit your party. The Stratus Rooftop lounge sits eleven stories above street level and offers dancing, drinks, and a great atmosphere. Some of the best DJs in the area are featured every Friday and Saturday night. Even though it sits in the middle of a busy center, it’s fireplace and greenery makes it a luxurious refuge. There are a number of pavilions available for private parties of 20 or more. Dress up to go to Stratus Lounge, since they do have a dress code. If you’re looking for something calmer but still a lot of fun, try one of the wine tasting classes at the Wine School of Philadelphia. They have a wide array of different classes, ranging from regional focuses to the basics of wine. They also offer beer and cocktail classes. While they do not offer special arrangements for bachelorette parties, the atmosphere is very friendly and casual. Fill out this form to get on the waitlist for a class. Treat yourself and everyone at the party by having a bachelorette party at Toppers spa and salon. They offer a wide variety of spa services, including massages,facials, manicures, pedicures, haircare, and more. Toppers has a clean and warm look that is sure to help everyone calm down from all the pre-wedding stress. Give their Philly location to schedule your bachelorette party. 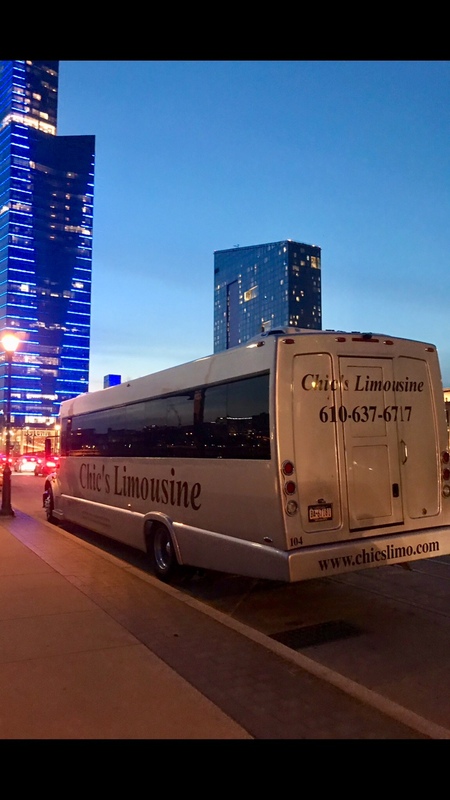 If you are looking to get to these places or any others in Philly, with class style, and while having a lot of fun, reach out to Chic’s Limousine to get the whole gang there and ready to party. We are Philly’s premier Party Bus limo service, offering professional service and clean vehicles at an affordable price. Contact us today to help get your bachelorette party the wheels it deserves!